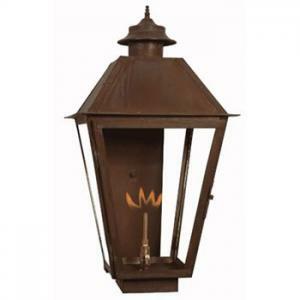 The Magnolia Gas Lantern is St. James Lighting's interpretation of the classic French Colonial style lantern. Available brackets include Copper Wall Mount, Steel Wall Mount, Copper Post Mount, Steel Post Mount, Ceiling Yoke Mount, Ceiling 1/2 Yoke Mount. Other Brackets available upon request. Pending on the features you select, the price of this product can range from $279-$479.